With this article we introduce BIll Nichols as our newest contributor. Dr. Nichols blogs at HealthyFaith.net, where he combines his expertise in health care and ethics with a passion for people to find fulfillment through a healthy faith. What was the most significant medical breakthrough in 2015? The year was filled with so many amazing medical innovations that it’s difficult to select one. I suppose what is considered most important depends on whose life is affected. 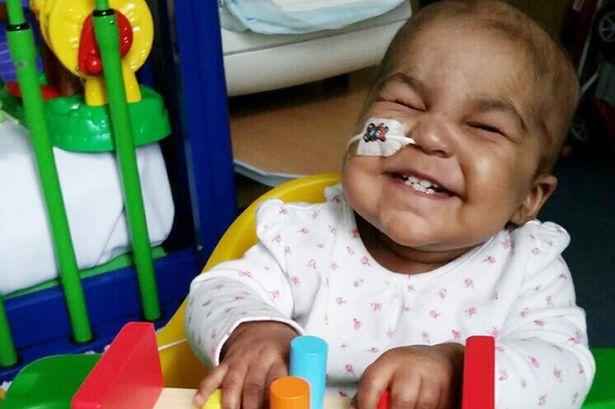 I imagine baby Layla’s parents would vote for the new cancer treatment using a person’s own immune system T-cells to fight cancer. Layla Richards was diagnosed with a deadly form of cancer at fourteen-weeks-old. Her doctors tried everything they knew, including a bone marrow transplant, but nothing worked. After a year of failed attempts to find a cure for Layla, her doctors told her parents that it was time to begin hospice. Then they decided to try one last, unproven treatment where Layla’s own immune system’s T-cells were put to work fighting her cancer. The team of doctors and Layla’s parents were amazed that Layla’s cancer went into full remission within a few weeks. Layla’s story is just one of many about this new 2015 medical breakthrough. On CBS This Morning, Dr. David Agus reported on this same treatment used at Memorial Sloan Kettering. With fourteen out of sixteen patients achieving total remission from their life-threatening cancer, no one would disagree that this new medical innovation is what Dr. Agus called a “game-changer” in the fight against cancer. Whether we witness amazing breakthroughs in medicine, relationships, or people’s spiritual lives, it is important to remember that such remarkable events don’t just happen. They are always a result of things going on behind the scene. People have been praying. Doctors have been doing research. Families have been working. God has been moving in people’s minds, hearts, and lives. Miraculous breakthroughs are not accidents of nature but products of human and divine unions. As you face the beginning of a new year, you may already be staring at some seemingly impossible situation—a broken relationship, an uncontrollable addiction, a painful medical condition, a self-destructive loved one, an unbearable work environment, or some other painful circumstance. No matter your problem, like Layla, you want a personal breakthrough, a miracle, something that is out of the ordinary. Every January is preceded by December 25, the celebration of the greatest breakthrough in history. It’s good that we begin each New Year with a fresh reminder that without God miracles don’t happen, and often they don’t happen unless we partner with God. Christmas was the day the supernatural joined the natural. Our creator left heaven and came to earth. The miracle of Christmas was the birth of Jesus, the God/Man, the union of the Spirit of God and the Virgin Mary. Many never experience breakthroughs in their lives because they pray then wait for God to bring a miracle to their situation. They wonder why they don’t experience breakthroughs as often or as fast as they would like. As you begin this year, remember a breakthrough is not just an event we wait for God to perform. It is an event that comes from our participation in God’s leading. It’s a partnership, the union of a leap of faith united with the power of God. By taking leaps of faith we actually become “instruments of breakthroughs,” freeing God’s supernatural love and power to work through us and to change our seemingly impossible situations. Jesus performed many miracles, but we often forget that he always brought people and God together as part of the miraculous event. Before his disciples brought the miracle of healing to others, he asked them to leave their comfortable life and by faith go out among those who were suffering. He always called for acts of faith, and allowed people to actively participants in the work done before their future breakthroughs. Without our acts of faith, we don’t see the hand of God. I like the way C. S. Lewis illustrated the supernatural and miraculous work of God in his book entitled, Miracles, “It may be hard for an egg to turn into a bird: it would be a jolly sight harder for it to learn to fly while remaining an egg. We are like eggs at present. And you cannot go on indefinitely being just an ordinary, decent egg. We must be hatched or go bad." We will see more amazing breakthroughs in this New Year if we break out of our comfort zones and get on the risky, rough road that requires us to use our minds, hearts, and hands as tools in the hands of the living God. It won’t be easy, but it will be worth it. If we don’t partner with God in faith, more than likely we will see another New Year and only be amazed with other people’s miraculous breakthroughs. Dr. Nichols has been active in health education and ethics. He founded HealthyFaith.net to provide "collaboration for healthy living through helpful and reliable information for individuals, their families, and the professionals who work with them to support their health, disability and faith concerns."